The vision of the Vaccine Engineering Center (VEC) is to meet the need of using engineering approaches to discover novel antigens, epitopes, and adjuvants that can stimulate and manipulate the immune system, as well as their targeted delivery, for the prevention and treatment of important diseases such as cancer and infectious diseases. Vaccination is the single most successful and cost-effective intervention in medical history. However, many of the vaccines that we know and use were discovered more than 50 years ago. About 2 years ago, cancer vaccination moved from a theoretical concept to an actually working intervention. This became possible by manipulating the co-inhibitory receptors PD1 and CTLA4 with antibodies and recombinant fusion proteins. Many vaccines are delivered by nanoparticles of specific sizes, degradation characteristics, targeted surface molecules, coatings and compositions. Another approach is to engineer virus-like particles. Both are significant research areas in nanotechnology. Engineering adjuvants is another area where engineering expertise is needed, mainly chemical engineering and formulation science. 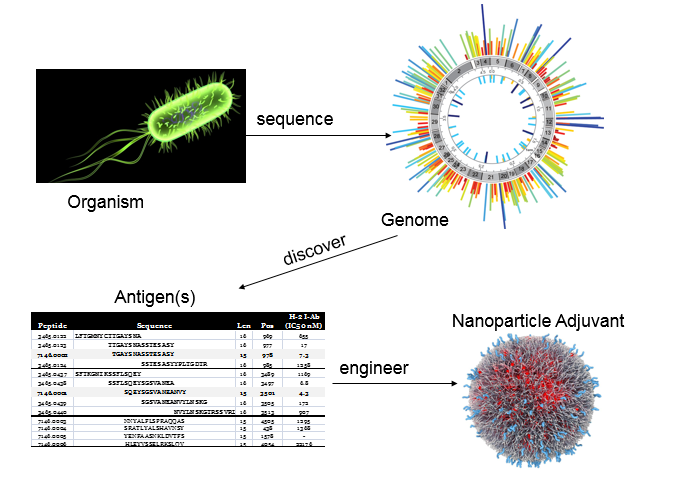 A third engineering challenge is epitope discovery: Tens of thousands of infectious organisms, autoantigens, cancer antigens and allergens contain millions of epitopes that can be presented to the immune system. Computer engineering challenges exist in curating and standardizing the existing data and aligning them with new data. Much of this is done by computer scientists and bioinformaticians in the Immune Epitope Database (IEDB), a national resource supported by a multi-million $ contract from the NIH to La Jolla Institute of Allergy and Immunology (LJI). A new area in vaccination is the idea of protective autoimmunity, which may lead to vaccinations for autoimmune and other inflammatory diseases. The first example of this approach is the atherosclerosis vaccine. Much remains unknown in this exciting new area, including suitable adjuvants, formulations, and the need for priming and booster injections. Vaccines for bacterial infections like TBC, streptococcus spp.